Shed Seven are a band from York, England who formed in 1990 and are famed for their no nonsense good-time tunes and live shows. 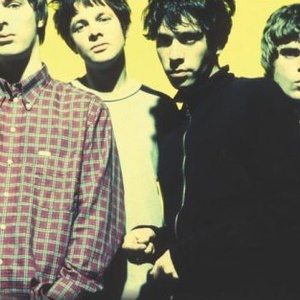 Their popularity peaked in the mid-1990's during the britpop boom with their most popular songs, including Chasing Rainbows, Going For Gold, Getting Better and Disco Down, all reaching the Top 20 of the UK Singles Chart. The band split in December 2003, but not before a farewell tour which culminated in a final hometown show. The split was amicable and came about due to disagreements with their record company about their musical direction. The band split in December 2003, but not before a farewell tour which culminated in a final hometown show. The split was amicable and came about due to disagreements with their record company about their musical direction. In 2005, they released a posthumous collection of demos for what would have been their fifth studio album. whilst the band members themselves began their own separate projects, including frontman Rick Witter, who went on to form Rick Witter And The Dukes . However, in 2007 the band reunited for what was to become a sell out tour of the UK, and their most successful to date. The re-formed line up included all of the original members, including both of their former guitarists, Joe Johnson and Paul Banks. Although the 2007 tour was intended as a one-off reunion, the band remained together and were seen performing at several UK festivals during the summer of 2008. It was announced in mid-2009, shortly before a one-off headlining performance at the Tartan Heart Festival, that the band would again undergo a tour during December 2009 - they also revealed that they had been working on new songs, though none of these were played during the 2009 tour. The band classed their 18 date 2009 tour as 'their most successful and enjoyable so far'. The band have announced a number of high profile summer festival appearances for 2010 including V Festival, T In The Park and Oxegen.